On Sunday 26th November 2017 St John’s took part in the circuit Mission Fair. Each church displayed material to show what they are doing in all sorts of areas of Mission. There was a large variety of projects to stimulate new ideas amongst those visiting the different stands. 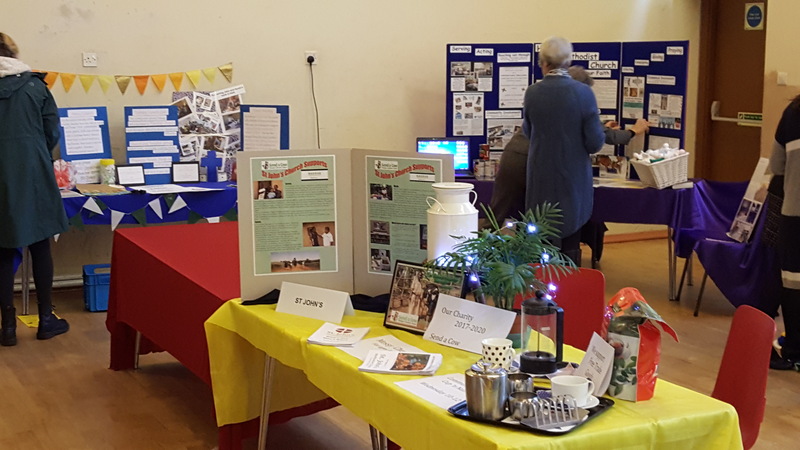 St John’s concentrated its display on the Kakrao project with Send a Cow, but also included Messy Church and Cup and Natter together with the “What’s On” booklet to show all that goes on in the building and for the community. The stands generated plenty of interest and discussion. After a very plentiful “Faith Tea” there was a service of worship to celebrate and encourage the work of Mision in our churches.